Having on-demand access to hot water in your home isn’t a luxury. We depend on water heater installation in our homes to provide us with comfortable showers, warm water for personal grooming as well as for cleaning purposes. What could be considered a luxury, however, is running those water heaters at full-bore for extended periods, thus driving up utility bills from the gas or electric company. Everyone knows the simple joy of a long hot shower, but those paying the bills at the end of the month will likely want to keep the associated costs down to a minimum. 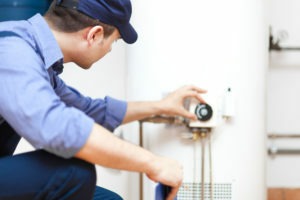 In this article from Water Heater Services, we’ll discuss adjustments that can be easily made after water heater replacement or water heater repair to ensure both economy and comfort. According to the U.S. Department of Energy, the average shower and clothes washing machine can claim about 35 gallons of hot water per use. By lowering the temperature on your water heater to 120 degrees Fahrenheit, “you can save from 3 percent to 5 percent on your water heating costs,” according to the energy department. That’s a 20-degree drop from manufacturer pre-sets often dialed into hot water heaters so the next question readers may have is: How do I accomplish this and are there water heater maintenance companies who can help? There will be a thermostat on the water heater than can be turned down to accomplish lower temperatures, which in turn means less gas used to heat the water to higher temperatures. If you are uncomfortable with doing this project or unsure where to begin, water heater installers like those with Water Heater Services will be more than happy to handle it and inspect the integrity of the rest of your home system. The energy department also suggests that homeowners who’ll be away for more than three days turn off their water heater — but they should also know how to re-light the pilot light upon return. Ensuring that there aren’t any showerhead or faucet leaks is another suggestion from the energy department. However, checking the integrity of the water heater itself for leaks is a service that hot water heater repair companies can provide. 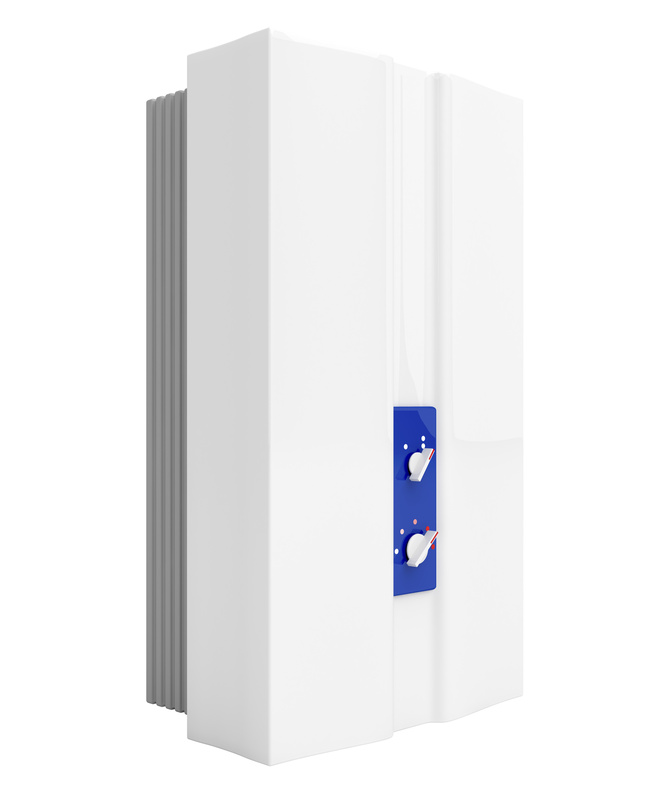 If costs are a concern, these companies can offer you “dual element” or “high input” water heaters that do the job of heating water both faster and more efficiently. Gas and electric bills are prone to seasonal spikes and having one less home appliance making matters worse can work wonders for the family budget. If you’re in the market for water heater replacement, Water Heater Services will be able to advise you on what product is the right fit for your unique needs. A water heater that’s making unusual noises requires attention from a professional. Strange noises can occur when sediment accumulates at the bottom of the tank and the hard-water scale breaks off. This hinders your water heater’s efficiency, as it must now use more energy to heat the water, causing wear and tear on your tank. A water heater repair professional will resolve the issue by draining the tank and removing the sediment. Is cloudy or rusty water coming out of the faucet? In older tanks, cloudy water can occur when sediment builds up inside the tank. If this is the issue, a water heater professional can clean it out. Rusty water may indicate the inside of the tank is rusting, or the rust may be coming from galvanized pipes. Cloudy and rusty water may also suggest your tank is about to sprout a leak. Even the smallest leaks need to be addressed. If ignored, a minor leak can turn into a larger leak that eventually leads to the flooding of your water heater storage area. A leak in the water heater might mean the system’s anode rod has failed, which can cause the tank to rupture. A leak may also come from problems with the pipes, fittings or connections. No matter the cause of the problem, contact a professional to fix the leaks as soon as possible. If there’s no hot water, bursts of cold water, or only lukewarm water coming from your faucets, then there’s something wrong with your water heater. No hot water coming from the faucets can mean one of two things: either you hot water heater needs repair or replacement, or the pilot light is out. A professional will be able to get to the roof of the problem. Bursts of cold water are often the result of a damaged dip tube, a tube that runs from the top of the tank to the bottom along the water line. If the dip tube is damaged, hot water flowing inside the tank is mixing with the cold water flowing outside. A broken dip tube can also cause lukewarm water. This issue can also signify it’s time for your water heater to be cleaned out or that the thermostat is not set to the right temperature. For the fast repair of your hot water heater, contact our hot water heater repair technicians at Water Heater Services: (703) 497-4118.